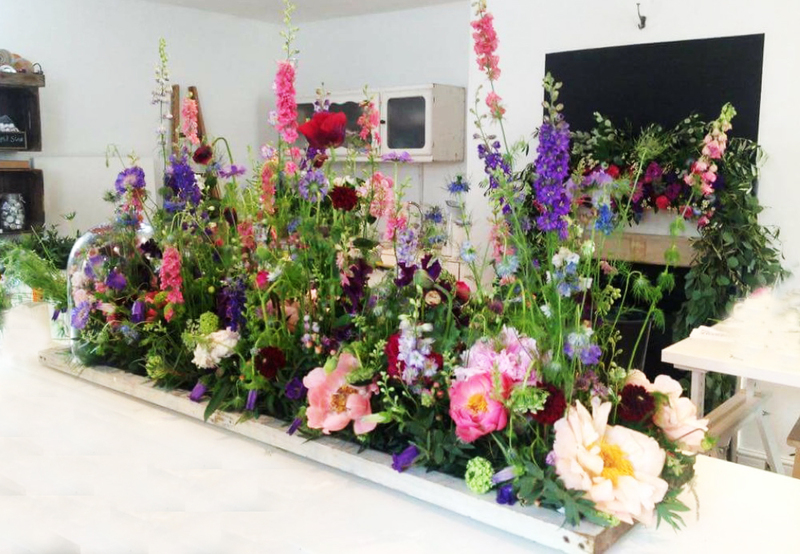 WE SPECIALISE IN CREATING CHARMING, ROMANTIC FLORAL DESIGNS THAT Look EFFORTLESS AND NATURAL. EVERYTHING WE DO EVOKES A sense OF BEING FRESHLY HANDPICKED AND GATHERED FROM SURROUNDING NATIVE WOODLANDS. OUR INSPIRATION COMES FROM EVERYWHERE. WHETHER MODERN OR TRADITIONAL, WILD OR SOPHISTICATED, WE SEAMLESSLY MERGE OUR INFLUENCES TO CREATE A PRODUCT THAT IS A REFLECTION OF OUR CLIENTS’ STYLE AND SENSIBILITY. We offer a diverse range of bespoke services for Weddings, Family celebrations, Corporate events and Sympathy flowers. We'd be happy to chat through your requirements with you. Feel free to email us, or call us to discuss further. We also supply fresh flowers to our retail partners each week and we offer a Fleurs De Confection service for brides who are on a budget and don’t necessarily need our full wedding package. Our price list will give you an idea of costs, but we recommend a one to one meeting to establish aspirations and budgets.